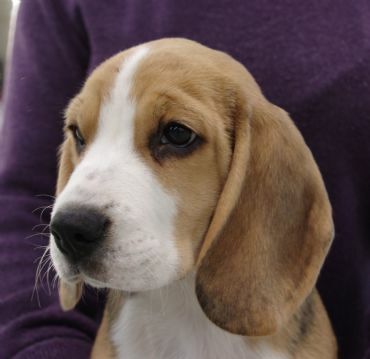 Dee Dee was a gorgeous puppy, with great attitude, into everything, very outgoing, and very pretty. She has a lot of her mother in her, so if she does as well in the ring as Sally did, I will be very pleased with her. She is a little stubborn at times (just like her mother) so will no doubt offer some challenges along the way. At 16 months, Dee Dee gained her Australian Championship title. She did very well to get this at such a young age, when there was a good lot of competition in the ring for her to beat! 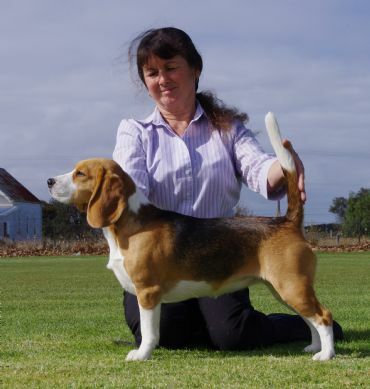 On 23/10/2012, Dee Dee had her first litter of puppies, to Ch Bayhound Walk the Talk (Cooper), they had 4 beautiful girl puppies. One went to Perth, one to Ararat, one to Templestowe, and Sugar remained with us to try a paw at showing. Dee Dee was a lovely mother, excellent with her babies, and has continued this way with half sister Holly's babies, born 21/4/2013. Might have to think about another litter for her in 2014, after she has had time for a very good rest break!